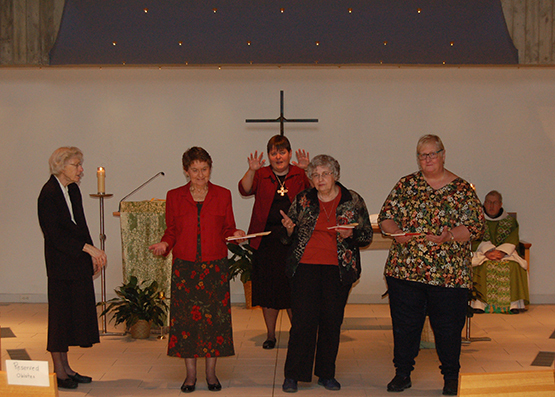 Welcome New Oblates of Annunciation Monastery! Today is a special day for our monastic community. We witnessed the oblation of Margaret Brandt, Jane Greer and Joy Wesolowski. Oblates are women and men who seek to draw closer to God through the wisdom of Saint Benedict. They commit themselves to live the Benedictine values in their work, family and faith communities. We wish our new oblates, and all of our oblates, abundant blessings as we journey to God!